Baptism is a milestone in the lives of both young and old and offers a wonderful opportunity to celebrate the journey of faith. Whether you are looking for gift ideas or planning a baptism event, these ideas will make it a memorable celebration. Framed Art - If you receive a printed invitation, keep a copy to place in a beautiful frame and give it to the family as a keepsake. For digital invitations, print a photo of the child and include it in a frame. Plant a Tree - Give a living, potted tree with a note for the child’s parents to plant it and watch as it grows strong over the years. Common types include birch, oak, evergreen and fruit tree varieties. Include a scripture like Colossians 2:7 or Psalm 1:3 on the card. Personalized Treasure - Embroider a bib, robe, rocker or bonnet with the child’s name and baptism date. A personalized pillowcase or monogrammed throw blanket are also excellent gifts. Another idea for a girl is to have a lace handkerchief embroidered with her name in a blue thread to use as something old and blue for her wedding day. Include a sturdy box or satchel to store it in, or frame the handkerchief for a brilliant wall display until she is ready to sew it into her wedding dress one day. Snow Globe - Choose a snow globe the child will enjoy for years to come. Search for one that represents the child’s faith journey such as a cross, an animal or a source of light like stars. Pair it with a small bedside lamp or a kid-friendly nightlight. Include Matthew 5:14-16 written out on the card. Children’s Bible - Gift a bible with unique bookends made with the child’s initials or symbols of faith. The Jesus Storybook Bible and The Action Bible are two well-reviewed choices for children. Lifeway offers a collection of bibles and meaningful books for kids. Figurine - Give the child their first angel figurine to start a Willow Tree or Precious Moments collection, or choose a porcelain piggy bank to display in the child’s room for years to come. Pair the fragile gift with a practical children’s book like God Gave Us You. Holiday Decor - A thoughtful card and an ornament to hang on the Christmas tree with the date of the baptism make a sentimental reminder of the special day. Jewelry - For a girl, choose a sterling silver cross necklace, charm bracelet or locket. For a boy, give an army tag-style necklace with a verse like Jeremiah 1:9 engraved for him to wear as he grows. For gender-neutral options consider a traditional rosary, baby cup or rattle. For Daily Play - Shop for well-made toys that illustrate Bible stories such as Noah’s Ark, the nativity scene or Jonah’s adventure. Consider themed wooden blocks, interactive felt boards or plush dolls. A wooden rocking horse or piece of nursery furniture personalized with the child’s name and baptism date are also meaningful options. 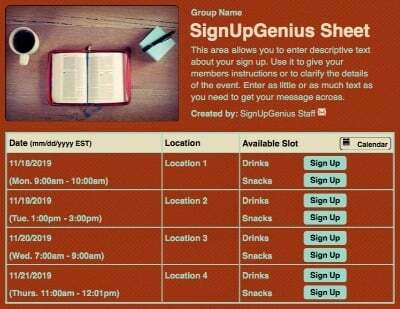 Study Tool - Gift a concordance or Bible dictionary. Include a note offering to have a coffee with the recipient to show them how to use the study tool. Symbolic Jewelry - For teen girls, give a unique piece of jewelry such as a strand of pearls (Matthew 13:45-46) or a watch for boys (Ecclesiastes 3:11). Shop Small - Consider a handmade item from a local artisan or a gift that gives back, like a Bridgewater Candle, Elevate Bag or a piece from Noonday Collection. Directional Keepsake - Give the special guy or gal a special compass engraved with Isaiah 30:21. Extra special for hiking and camping lovers! Wall Art - Commission a personalized print with the recipient’s name and a verse — or make your own! Heirloom Bible - A leather-bound study Bible embossed with the guest of honor’s name (you might check to see which translation of the Bible their church or the recipient prefers). Underline your favorite passages and have family members leave a note of encouragement in the margins. This gift could be left open on a table at the reception for guests to add to as well. A Legacy of Faith - Take the opportunity to honor the guest of honor’s spiritual influences. Artistically display important dates such as baptisms for parents, grandparents and beyond — or honor a favorite spiritual author, family member or influencer of the person you are celebrating. Use stepping stone décor and rustic elements to decorate for this special celebration. One Word Blessing - For a child, you could provide unfinished, untreated wooden blocks and have guests write one word of spiritual encouragement on each block the child can use as a toy. For an older celebrant, have guests write these words on a photo mat and decorate your venue with one-word blessings such as “Courage,” “Hope” and “Secure.” One-word jewelry rings (available at craft stores) threaded on a simple leather strand make excellent favors for attendees. Go Vintage - Look no further than your local craft and secondhand stores for hosting a baptism party with a vintage theme. Search the thrift store for old angel figurines, candle holders, rustic serving platters and elegant vases. Use gilded gold and lace décor on the tables with DIY paper flowers for the backdrop. Serve snacks on doilies, and borrow a classic punch bowl for this vintage-inspired theme. Footprints - The classic Footprints poem is a beautiful reminder that Jesus is with us in every season of life. Print a copy of the poem and sandy image on small scrolls for your guests or place it in frames on tables. Decorate with a sand and sea theme for your baptism celebration. Birds of Peace - Birds are symbolic in the Bible and make an excellent baptism party theme. Create (or order) cake pops with a simple bird symbol, design custom cookies or bake a bird-themed cake. Write Luke 3:21-22 on table cards and use doves as your inspiration for décor, or choose Isaiah 40:31 to focus on eagles. Prayers for Life - Even if your celebrant is an infant, what a wonderful treasure to have guests compose prayers for all stages of life. Ask guests to bring pre-written prayers to collect or have them write prayers in a special album. Use praying hands decor (the emoji is fun if your celebrant is a teen! ), copy favorite devotional prayers to give to guests and hold a prayer time to cap off your celebration. Lamb of God - Using gold, white and rustic accents, you can celebrate baptism with a lamb theme (emphasizing a verse such as John 1:29). Use floral accents of white hydrangea, and serve marshmallow treats and white frosted cupcakes to guests for this precious symbolic theme. Pearls of Wisdom - Celebrate baptism by asking guests to leave cards with life wisdom for a successful faith journey in a clamshell-shaped basket. Decorate with shells and large pearlized balloons. A pearl gift (jewelry or picture frame) makes a great gift reminder of the special day. Jesus Loves All the Little Children - Use globes, maps and decor from around the world to decorate for a baptism party (borrowing from friends will keep the cost down). Find a festive bunting of children from around the world at an educational store. For food options, explore ideas from around the globe to serve at your party. Shine Your Light - Matthew 5:16 is great inspiration for a bright baptism party including jars of various sizes filled with mini battery-operated string lights, light bulb shaped cookies and candles as take-home gifts for guests. 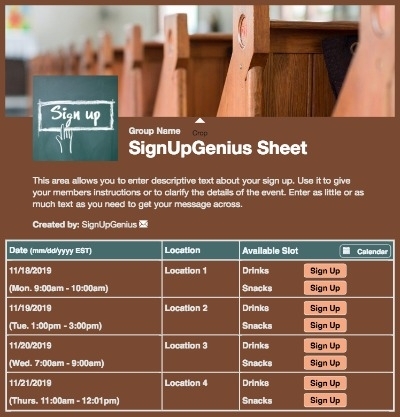 Potluck Party - Friends and family are happy to help, so consider hosting a potluck to provide food for the party and use a SignUpGenius page to get all the dishes organized for your special day! Photo Stories - Framed photos of the celebrant on each table are a fun way to showcase other faith events for teens and adults. Include photos of the guest of honor on mission trips, church events and volunteer roles. Use art and written signs to explain the life events leading up to this baptism. Simple Sweets - Create a super simple but beautiful cake with perpendicular rows of white frosted cupcakes in the shape of a cross and add small symbols of faith like mint roses, doves or smaller crosses. Baby’s Breath - This budget-friendly flower-filler looks elegant displayed in glass canning jars. Add a strand of wire with the top shaped into a spiral to hold different photos, and you have a sweet and simple centerpiece. Finger Foods - To simplify the food prep, keep it easy with finger foods (like mini coffee cakes, donuts, cake pops or bagels) or if lunch is necessary, consider a soup and finger sandwich offering with fruit on the side. No matter the time of day, desserts are always a hit, so arrange finger desserts like brownies and cookies to satisfy those with a sweet tooth. Baptism is a sacred symbol of faith in the life of a person, so planning a gift or party for your loved one shouldn’t be stressful or overwhelming. Use these tips and ideas to create a memorable baptism party and focus on the joy of the day. 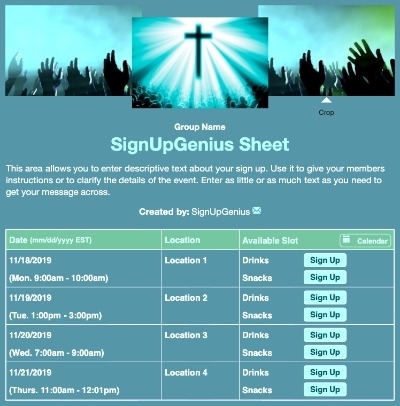 Plan church outreach events and organize volunteers with a sign up.